Visit our website, www.exeter.edu, to learn more about us and to view the complete job description. The On-call Catering Delivery Driver delivers and/or picks up food and equipment to support dining/catering events. In addition, assists with the setup and break down of events. • 1 – 3 years’ experience with food service and off-premise catering preferred. • Valid driver’s license and clean driving record required. • Ability to operate a vehicle of up to 23,000 lbs. • Must be able to read, write, and perform mathematical computations. • Excellent problem solving skills as well as a strong customer focus. • Ability to work independently and handle multiple priorities and deadlines simultaneously. • Possess basic computer skills. • High degree of organizational skills with the ability to be flexible and multi-task with accuracy. • Ability to follow verbal and written directions, maintain a professional demeanor and restraint at all times, including stressful situations. • Demonstrated commitment to diversity and inclusivity and to serving the needs of a diverse and inclusive community with diplomacy and tact. Go to www.exeter.edu/jobapplication to download an application. 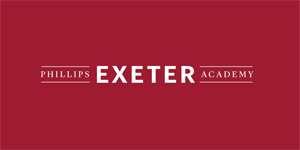 Email your completed application to recruitment@exeter.edu or fax it to 603-777-4390. Please indicate in the subject line: On-call Catering Delivery Driver. The successful candidate for this position will be subject to a comprehensive pre-employment background check. The Academy is an equal opportunity employer and does not discriminate on the basis of race, color, marital status, religion, gender, gender expression, age, sexual orientation, veteran status, national origin, genetic information, or physical or mental disabilities which do not prevent performance of essential job tasks. The Academy is committed to recruiting, supporting and fostering an equitable, diverse and inclusive community of outstanding faculty, staff and students. Those who share this goal are encouraged to apply. Due to the volume of responses received for job postings, we are unable to provide individual status updates. All applicants will receive electronic confirmation of application submission and final status. Only those applicants selected by the search committee will be contacted directly. We appreciate your understanding, cooperation and interest in employment at Phillips Exeter Academy.